Our mission is to help you celebrate every stage of life with natural, elegant photography that fits and reflects you, your family and your lifestyle. Our style is fun and honest, celebrating family, love and life. We want you to adore every image, to create timeless portraits that show individuality in a comforting and honest way. We want our pictures to tug at your heart and warm your soul in difficult times . . . to capture the simple moments that are so easily taken for granted as well as all of your special occations. 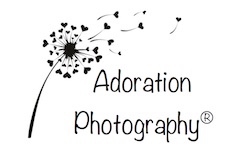 With Adoration Photography you will receive nothing less then superb quality, artistic flair, and adorable memories to last a lifetime. We take pride in capturing naturally beautiful moments and your session will never be rushed. We specialize in weddings, life events and family photography. We create a unique mixture of photojournalist and traditional photography. Call, email or fill out the contact form to schedule a consultation or book an event.